How can I make my own hummingbird nectar? 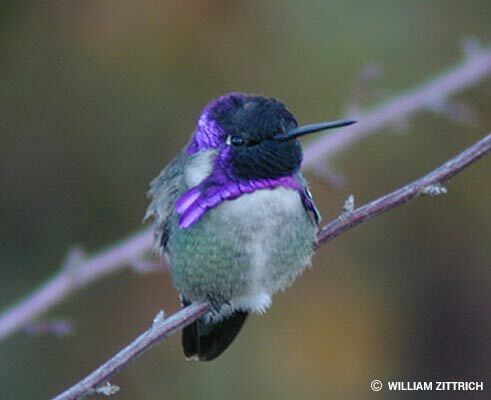 You can make hummingbird food by mixing four parts boiled water to one part white table sugar. Let it cool before adding it to your hummingbird feeder. You should replace your nectar every few days. It is best NOT to use red food dye in your solution, as it is not truly known if this is harmful to hummingbirds or not. Instead, tie a piece of red ribbon on your hummingbird feeder if it doesn't already have any red parts (the red is meant to resemble the color of a flower they would naturally be attracted to). When should I put out my hummingbird feeder? How do I keep ants and bees out of my hummingbird feeder? The best way to keep bees out of your feeder is to use a bee guard. They prevent bees from being able to reach the nectar solution. As for ants, try using a paintbrush to apply laundry detergent to the areas they are using to access the feeder (but don't apply it to the feeder itself). You may have to reapply several times for the first few days. If this doesn't work, you can buy an ant cup, which acts like a moat around the feeder opening. Hummingbirds typically live around 4 years, but some individuals have been known to live as long as 12 years. They live in North and South America, ranging from Alaska to Chile. What is the hummingbird life cycle? Hummingbirds hatch from eggs the size of a very small pea. After nesting for about three weeks, they fly away and do not return to the nest. After the first year of life, their lifespan is approximately 5 years. Do hummingbirds really migrate on the backs of Canada Geese? As nice as this sounds for hummingbirds to make their trip easier, this is just a myth. Thank goodness for the geese! I saw something that looked like a REALLY small hummingbird. What species is it? This is most likely a hummingbird moth, often mistaken for an actual hummingbird! Do hummingbirds eat anything else? In addition to nectar, hummingbirds eat insects to give them the nourishment they need. I found a banded hummingbird. Where do I report it? The North American Bird Banding Program is an online reporting service, located at the Patuxent Wildlife Research Center. Bird banding is a universal and indispensable technique for studying the movement, survival and behavior of birds. The North American Bird Banding Program is jointly administered by the United States Geological Survey and the Canadian Wildlife Service. Hummingbirds twitter while resting or pursuing other hummingbirds while protecting their territory. Why do hummingbirds sometimes hang upside down? They have the ability to "shut down" to conserve energy. While they may appear dead, they are fine and there is no reason to be alarmed. © Copyright 2002-2019 Mikula Web Solutions; all rights reserved.